With these frigid temps, who needs an excuse to take a cozy break with some piping hot cocoa? The time is now. 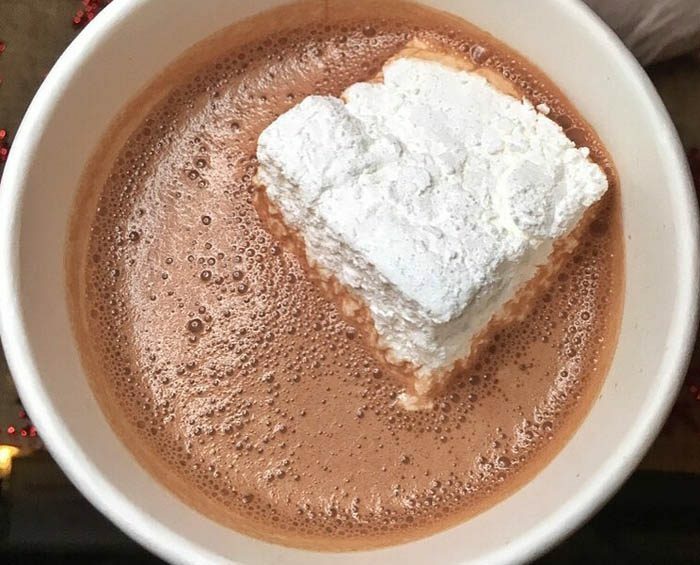 If you’re out and about in Brooklyn craving some warmth and chocolate, here are the best spots to hit. If you’re a fan of Nutella (and who isn’t? ), swing by this cheerful coffee shop for a delicious cup of Nutella mocha latte. 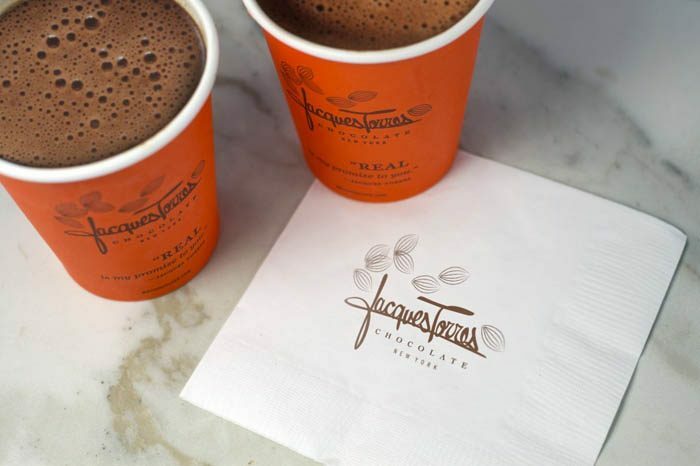 For one of the richest cups of hot chocolate in Brooklyn (or anywhere), Jacques Torres has you covered. If you want a cup with a kick, try the Wicked Spicy Hot Chocolate with 60% dark chocolate and a secret blend of spices that include chipotle chili peppers and ground ancho. Paired with their famously delicious chocolate chip cookies, all your chocolate dreams will come true. This Brooklyn-based chocolatier makes a uniquely delicious hot chocolate (and frozen hot chocolate) made with milk (whole, skim, or almond) mixed with a giant scoop of their rich ganache made from 65% single-origin chocolate shavings sourced from a family farm in Colombia. You can choose classic, spicy, peanut butter, or boozy hot chocolate with mezcal-chili or absinthe. Head to Chocolateria for a deliciously decadent cup of artisanal chocolate melted in steamed milk with your choice of flavors: white, dark, cinnamon, mint, mint chocolate or spicy or ginger. 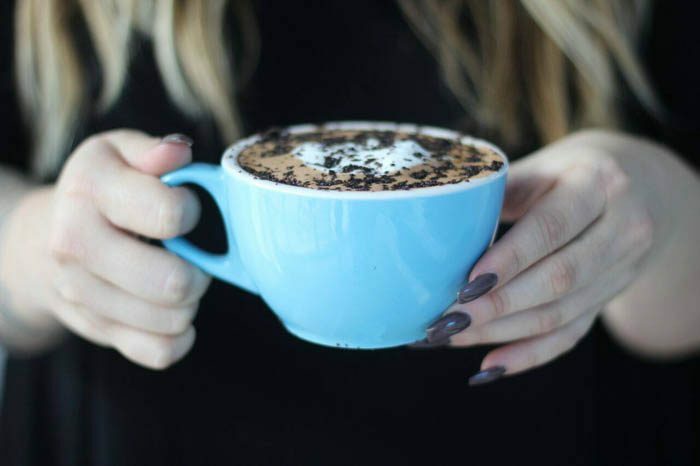 This specialty venue offers a large mug of “classic hot cocoa” (38% milk chocolate infused with Madagascar Vanilla) that is smooth and milky or a smaller ‘cuddle cup’ of “dark hot chocolate” (60% bittersweet Belgian chocolate) that is rich and decadent; you can also opt for “spiced dark hot chocolate” with ancho and chipotle chiles for an added kick. Or, if you prefer your hot chocolate frozen and topped with whipped cream, they’ve got you covered. Servers will also likely bring you an amuse-bouche to accompany your drink as an added treat. Indulge in a sweet, flavorful mug of hot chocolate made with a blend of chocolates (whipped cream optional) at Dough Doughnuts. You can’t leave without also trying their famous doughnuts (toasted coconut, dulce de leche, cheesecake, and hibiscus are among our favorites) or doughka (babka made with doughnut dough) fresh from the oven. For a spicy hot chocolate seasoned with cinnamon, cayenne, and nutmeg or a specialty ginger hot chocolate, stop into this cozy, quirky spot. Mirror Tea House also offers banana milk tea and Nel drip coffee. Van Leeuwen is known for their use of specialty organic ingredients like 99% cacao “drops” of Michel Cluizel chocolate, whole milk, and a touch of sugar, topped with homemade whipped cream or a scoop of ice cream. This new café specializes in shaved cream and other Asian-inspired desserts and also serves specialty flavored hot chocolate like peanut butter, classic, white hot chocolate (with Lucky Charms marshmallows), and matcha hot chocolate topped with whipped cream and a drizzled topping of your choice. For those who like their hot chocolate not too sweet, Colson Patisserie has the perfect cup for you. It’s ideal for dunking one of their delicious award-winning French-Belgian pastries. Stop by Fine & Raw Chocolate Factory for a mug of artisanal hot chocolate made from sustainably-sourced chocolate beans that are minimally processed and still contain all their enzymes and nutrients. This handmade and organic vegan hot chocolate made from raw chocolate is rich and creamy… and, dare we say, healthy!